Chancellor Philip Hammond's announcement of a consultation on how taxes or charges could reduce plastic waste and improve re-use or recycling is a victory for the green lobby, but PR professionals say they are keeping a keen eye on the next steps. Hammond launched the 18-question consultation in yesterday's Spring Statement. It closes on 18 May. Joey Jones, head of public affairs at Weber Shandwick, told PRWeek that while the Government had in recent months been a clear convert to the cause of reducing plastic waste, it was notable that Hammond went so far as to suggestion taxation as a solution. Other PR professionals approached by PRWeek quickly pointed to one particular cause for the recent rise in concern around plastics. 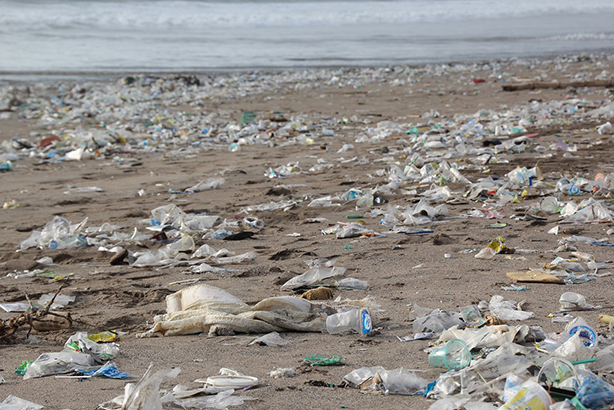 Oliver Foster, CEO of Pagefield, said: "Over recent years there has been a gradual shift in attitudes to single-use plastics but as an issue it has been cast into the political mainstream following the BBC’s Blue Planet II last year." Sam Williams, co-founder of charity, social issues and environment-focused start-up Barley Communications, commented: "Since the airing of Blue Planet II we have seen a significant increase in public awareness and concern regarding the impact of single-use plastics on the environment. Campaigns from major media outlets such as Sky's Ocean Rescue, the Daily Mail's Turn the Tide on Plastic and the Evening Standard's The Last Straw have added to public pressure for change." She noted that companies including Iceland have since taken voluntary action. Jamie Carpenter, editor of PRWeek's environment-focused sister titles ENDS Report and ENDS Europe, pin-pointed another catalyst. He said: "Politically, the environment is currently a key priority for the Government. This owes as much to Conservative Party strategists’ attempts to reach out to younger voters following last year’s snap general election as it does to the impact of the BBC’s Blue Planet II series, which highlighted the devastating environmental impact of plastic pollution. Foster agreed that the Government was "wise" to capitalise on "an issue which, unlike Brexit, unites voters across the political spectrum", and said it would hope to replicate the success of the recent plastic bag charge. Foster went on to say: "For businesses that rely on plastics the challenge is much bigger. They will need to move with the tide - excuse the pun - and demonstrate clearly the steps that they are taking to cut down on plastics. Those that face up to the scale of the challenge and seek to make genuine change will fare better than those appearing to pay lip service." Andy Sawford, managing partner at Connect Communications, said he looked forward to seeing how any new measures would operate: "There are big questions about how and where in the system the tax would be levied and what level of tax would work. "I expect the plastics industry and allied lobbyists from the Food and Drink Federation will know that they have to engage constructively with the Government, but they will be concerned that suitable alternatives are not readily available for some uses, particularly perishable goods. Plastic is an incredibly useful material and it is hear to stay, but time is up for single use." Weber's Jones said that companies responding to the consultation in particular and the issue as a whole faced a difficult task of balancing pragmatic concerns against a need to appear committed to sustainability. "There will be companies that on one hand want to demonstrate publicly that the are on board with this agenda, but as the same time will want to demonstrate to Government the need to show realism," he said. Indeed, it appears that similar calls for pragmatism were successful last week, as Williams noted a separate policy decision last week that was not as firm as had been expected. She said: "It will be interesting to see what Government does with the results of the public consultation. Defra's surprising rejection last week of the recommendations of the Environmental Audit Committee, following a similar consultation on how best to tackle the problem of disposable coffee cups, drew widespread criticism from environmental campaigners and the wider public. "Government chose not to introduce a latte levy, and instead put the onus back on industry to fix the problems that they are seen to have created."